1930's Stained Glass Front Door with rectangular stained glass panel. The stained glass panel is in the Art Deco style . 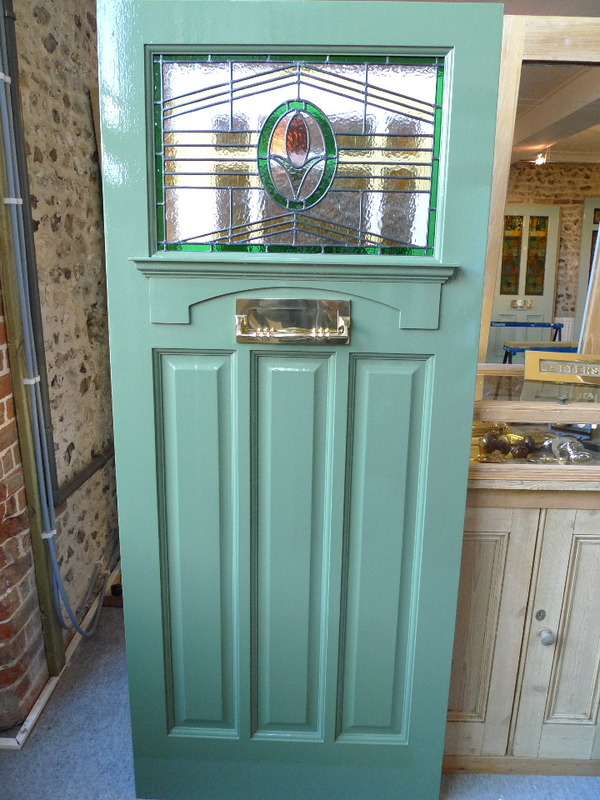 The door has been painted with Farrow & Ball Calke green gloss and has a brass letterplate with pull. The price for this door is excluding door furniture and painting . They are available in either "engineered hardwood "or "engineered oak".